You can now call any of your friends and love ones using Globe/TM network using Cherry Mobile’s prepaid SIM. For only 10 pesos you can enjoy all day call to tri-networks with TRICALL10 promo to plan your trips and summer getaways. 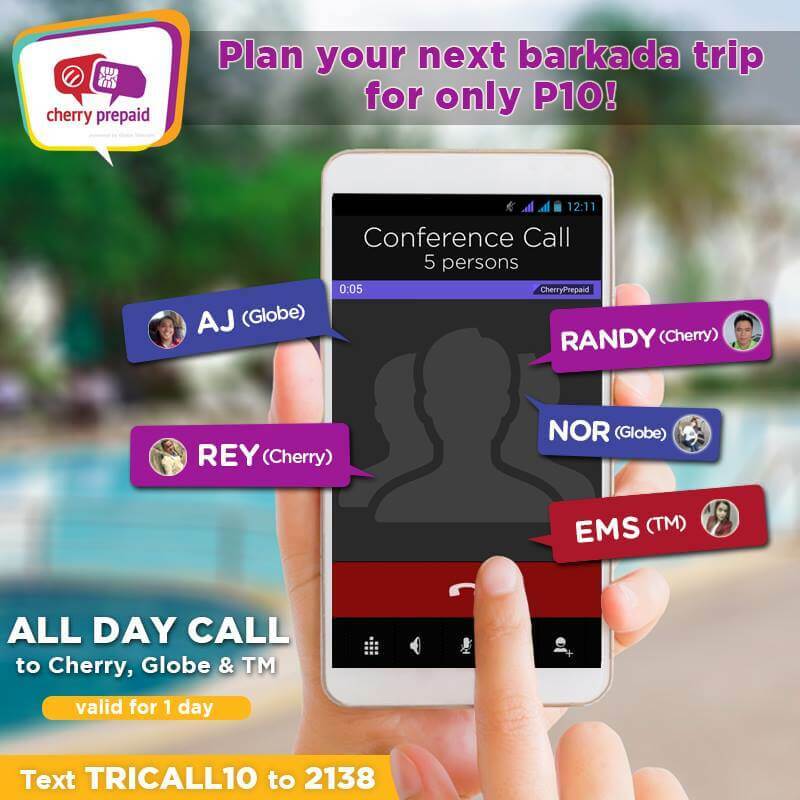 This is a very affordable offer to Cherry Prepaid subscribers who prefer to communicate via call than text and chat. You can call night and day as long as you are registered with this promo package and have enough balance to continue using the service. Make sure to fully charge to cell phone or smartphone to make use of this TRICALL 10 promo. You can load this to your prepaid account in two ways. The first is via Cherry Prepaid USSD code menu, dial *139# then choose the right option for TRICALL promo. The second option is via SMS text, where you need to text the correct keyword or code and format of the given access number. Make sure to check your load balance on your account before you register to this promo. You can reload your SIM at your nearest Globe AutoloadMax, retailers and Cherry Mobile outlets. After a successful registration, you will receive a text message or notification that says, TRICALL10 promo is now active and ready to use. It also includes the details on how to use the promo, time of registration and expiry date.